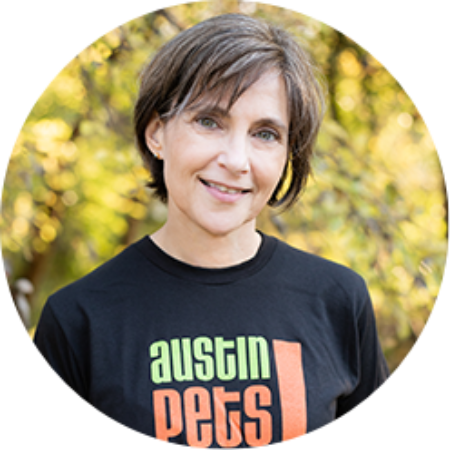 Maggie Lynch has been APA!’s Development Director since 2015 and now also serves as the Director of Development for American Pets Alive!. She began volunteering with APA in early 2009 when she founded APA’s grants program to support its rapid growth, learning the ropes of bringing in and stewarding the funding that fuels nonprofit work along the way, as well as the basics of program budgets and performance measurement. She left in 2011 to expand her experience in supporting social change, working at one of the world’s leading social enterprises in Cambodia. After returning to the U.S. in 2012, she consulted with nonprofits on how to build strong organizational foundations for fundraising and wrote grants for a variety of causes. As APA!’s Development Director, Maggie leads development strategy, oversees a staff of 6, and works with program managers in creating resources, measuring performance, and communicating their many successes to supporters.